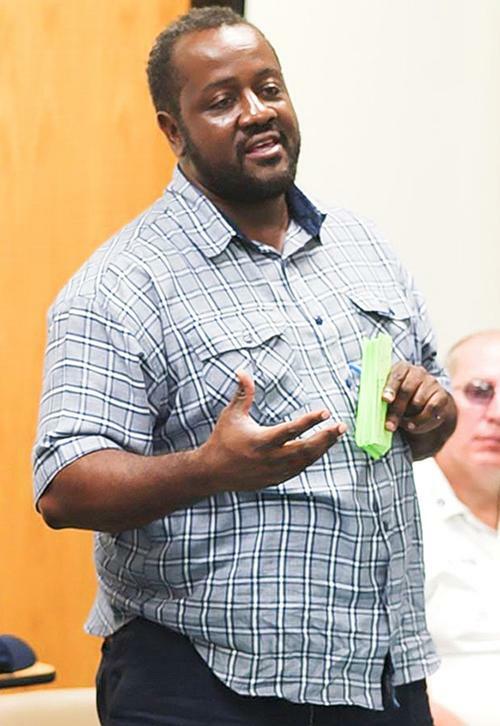 In our ongoing series of blog posts highlighting our awesome staff throughout the Free Library of Philadelphia, today we take some time to speak with Marvin DeBose - Haverford Library Branch Manager & Adult Teen Librarian. He is also a sought after speaker on the genre of Street Lit and Teen & Adult Programming, and reviews books and discuss library-related events on his personal blog, MrPhillyLibrarian.Blogspot.com. What is your role with the Free Library of Philadelphia? I serve as the Branch Manager & Adult Teen Librarian at Haverford Library at 56th & Haverford Avenue inWest Philly. I have worked at the Free Library since 2004, first as a Library Trainee through the “Growing our Own” program where I was able to receive my Master Degree at Clarion University. Before coming to the Free Library, I worked with inner city youth at Philadelphia Department of Recreation. In total, I have been employed by the City of Philadelphia for over 21 years. What do you wish more people knew about the library where you work? Our staff really takes pride in brainstorming program ideas to better serve the needs of our community. Working with seniors in the community, because they have a great deal of knowledge and wisdom to offer. Many times, the Seniors are forgotten at the library but they are some of our most involved patrons. I really enjoy creating programs catered to them such as the Jazz, Chat & Chew, Senior Read Too Book Club, Urban Gardening, and my most successful program Philly Bop Dance Class. I’m currently reading Philadelphia Politics from the Bottom Up – The Life of William McMullen by Harry C. Silcox, which discusses 19th century Philadelphia and an influential Irish politician who represented poor neighborhoods in South Philly. As far as television, I’m watching the new season of the Starz series, Power. Where’s your favorite place to read in Philly? I love to read on my patio at my house or in my car; it has to be outside and somewhere quiet where I can concentrate. Do you have a favorite librarian or other Free Library staff member at your neighborhood library you think we should shine a spotlight on? Let us know in the comments! 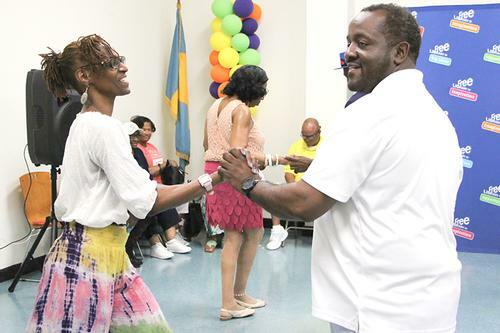 Marvin dancing with a patron during one of his popular and well-attended Philly Bop Dance Classes. 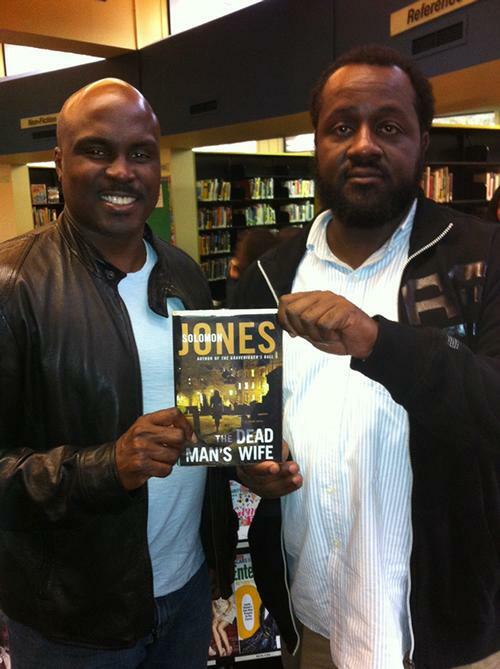 Marvin poses for a pic with Solomon Jones and one of his best-selling books. So happy to see your profile. I am a library student of color at Syracuse University (online). I have just completed the last course in my program. This term there were more men of color in my classes. I am happy to see you and them take on librarianship. This profession and your visibility are so important to kids of color. Thank you for your service!